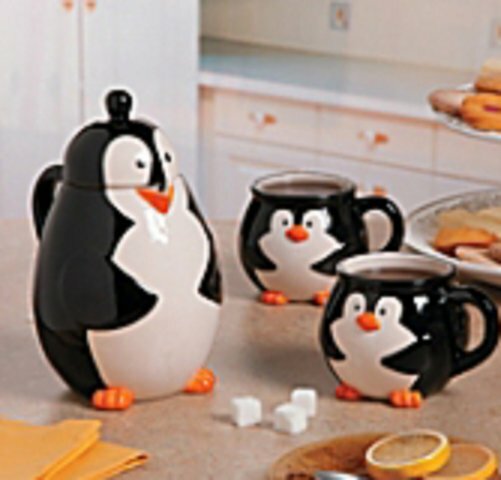 can do that easily with this adorable Penguin Teapot and Cup Set. These ceramic birds come as a set of three -- a teapot and two cups. Just right to sit down with a friend on a cold winter afternoon! While this may be called a teapot it can also be used to hold generous portions or coffee, hot cocoa, or broth. If you prefer to steep your tea cup by cup you can also get a Penguin Tea Infuser Cup Cover. 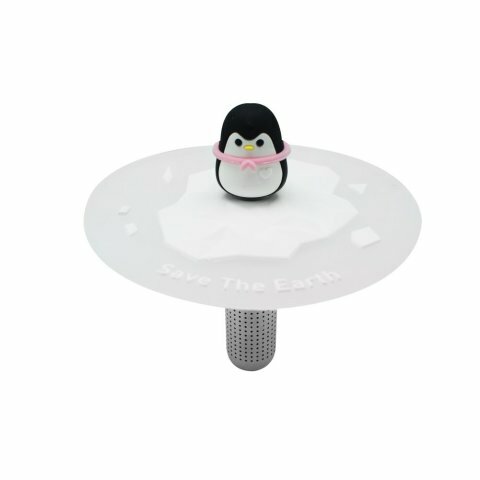 This additional little penguin will allow you to choose a different loose leaf tea for each cup you drink and will help keep it warm while you steep. To order your own Penguin Teapot and Cup Set, click here. To order the Penguin Tea Infuser Cup Cover, click here.